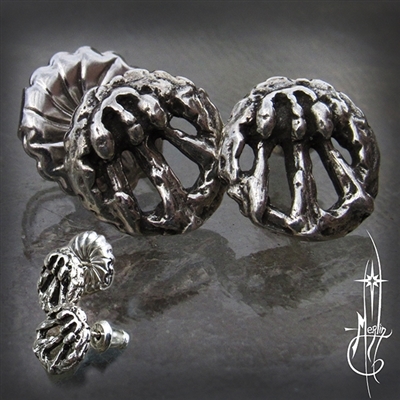 One of my special lines of jewelry are the Designs of Isaac Bonewits. 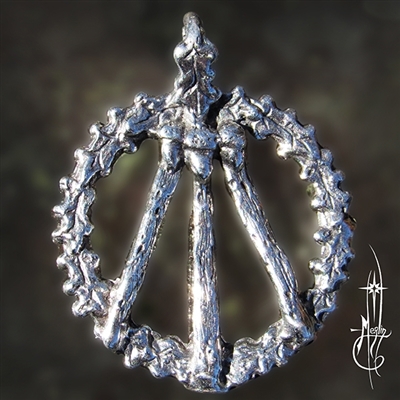 He created renderings of several designs and sent them to me to develop into pendants: The Sigil, The piece: Spells for Democracy, Dagda’s Club, Dagda’s Shield and the Awen. The Awen was one of his favorites: his description says it all. “Merlin” (Kirk McLaren of Amulets by Merlin). 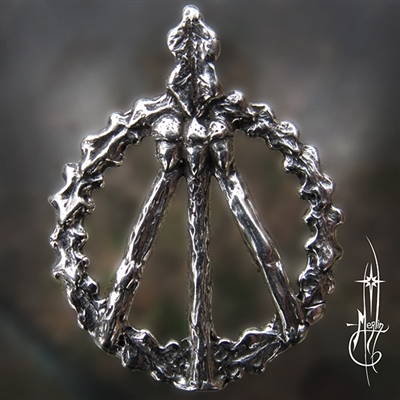 After creating the original Awen I have received several requests for a larger version of the piece: same wreath of leaves, acorns and staves: but larger. 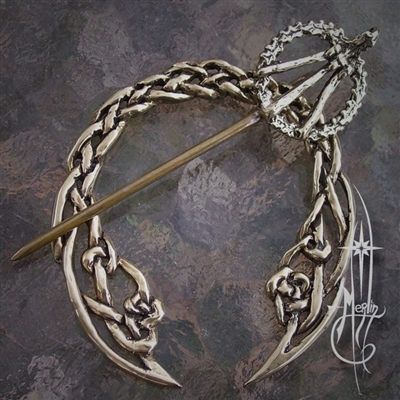 I offer this (an the other pieces) in both Silver and Bronze. When Isaac was still with us he traveled with the amulets and his books and other items; he even created a special portion of his website to feature the work. Since his passing into the Summerland I have continued to produce his line for him. For each piece purchased Isaac’s Widow receives a royalty to help through difficult times and encourage in efforts to promote good will and clarity to the world. To learn more about Isaac Bonewits you may visit his website. 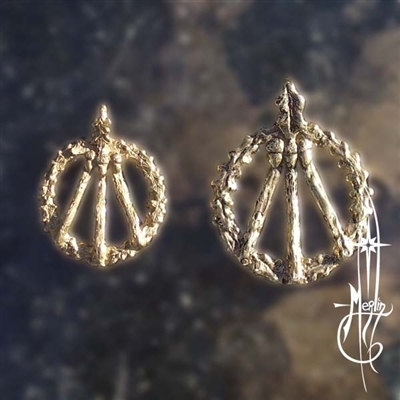 To learn more about Isacc’s Awen, please visit my web-page featuring Isaac’s Amulets.